The one day camps are open to anyone entering grades 9-12 as of Fall 2019 and Junior College Freshmen and Sophomores. The one day camps are an intensive camp designed to teach each participant the football fundamentals needed to excel in their position. The camps will include hands-on individual techniques as well as competitions. 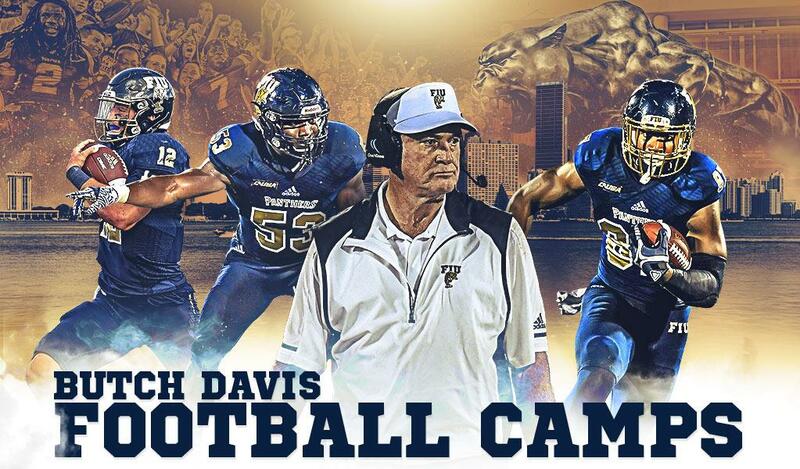 Pre-registration closes 24 hours before camp start date. Walk-up registration avabilable on the day of camp. Check-in/Walk-up registration begins one hour prior to camp start time. Please print, fill out the attached waivers and turn in the completed forms when you arrive for check-in/registration. High school students entering Grades 9-12 as of Fall 2019 and current Junior College Freshmen and Sophomores. The camp is open on a first come, first serve basis to any individual who satisfies the age, grade level and/or gender requirements put forth in the registration materials.